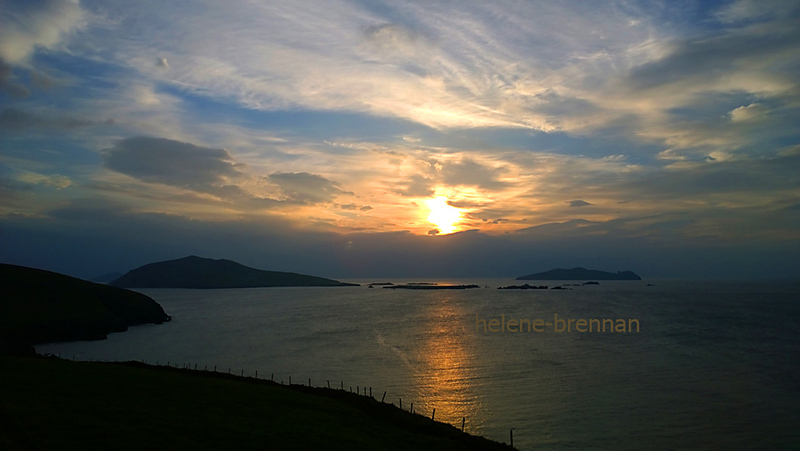 I am a painter and photographer, living near Dingle, on the beautiful Dingle Peninsula, South West Ireland. Originally I come from Co. Wexford, on the east coast of Ireland. After finishing school there I emigrated to Manchester, England, where I obtained a degree in Fine Art. Over a period of several years in Manchester I worked in various jobs: teaching, adult training and therapy. When time permit, I returned to painting, mostly inspired by travels to the countryside in Britain and other countries. I exhibited at many venues in Manchester, in solo and shared exhibitions. But as years went by, I found that making a living in the city environment is not compatible with a passion for nature, so I finally returned to live in Ireland in 1999, and settled in Kerry, to which I was drawn because of its wonderful visual beauty. Much of my time has been spent exploring the Dingle Peninsula, (where I have now lived for a number of years) which offers a powerfully inspiring landscape, an area of wonderful scenic beauty. There is great beauty even on the wildest and most windy days. It is ever changing. I work with a variety of media and I have a continuing interest in photography. I now mainly use online resources to show my work, but I have a small gallery in my home, in which a selection of my work can be seen, by arrangement. Please visit my website, on which you can see a large number of my paintings and photographs, from several different countries. Your landscapes are very nice. Thank you for visiting my blog and liking some of the Portfolio sections. Hi Helene, I can’t believe I haven’t left a comment her on your blog yet. I came by a few days ago and looked around. Your paintings and photographs both are wonderful. I’ve had so much pleasure looking at them. It makes me want to come to Ireland – now. I know it’s been ages (we were without internet for a while and I’m still trying to catch up) but thanks for the ‘like’ on the post about Bolivia. I’m glad you enjoyed it. And thanks for the ‘like’ on our ‘About’ page. Thank you Alison for your kind comments on my paintings and photos. I’m sure you will make it to Ireland before long, and no doubt you will enjoy it! And thanks for choosing to follow our blog. I never did get notification from WP about it and just discovered it. Anyway I hope you enjoy the stories of our journey, both inner and outer. Wow breath taking work, and great blog to go along with it 🙂 Glad I stumbled upon ya! Thank you for the follow! I am all the more complimented, given your relatively limited broadband access (which you mention in your post about rural life). If you don’t already know this blog, I suggest you visit it some day: https://breathofgreenair.com — Sinead’s thoughts & images of northern Scotland seem to me very compatible with your approach in your posts. Thanks Penny. I appreciate that suggestion. My Internet speed fluctuates and page loads can be very slow, but I do get to see some blogs and look forward to see more of yours. I do love to see creative street art – art for all, not just in museums. Thank you for your comment, David. I never like to put a label on my style – it’s just what it is!